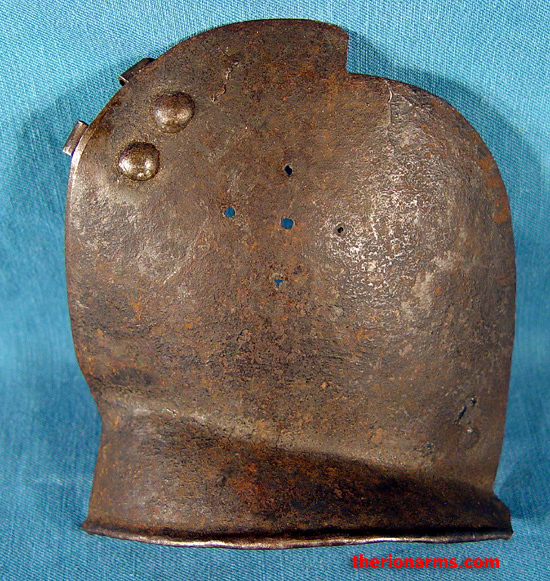 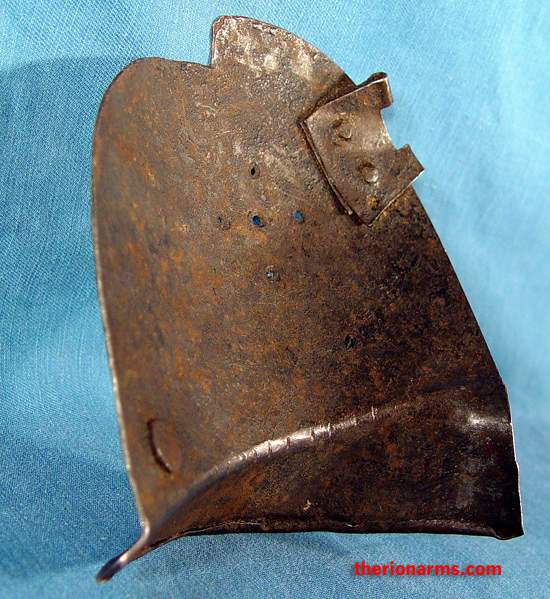 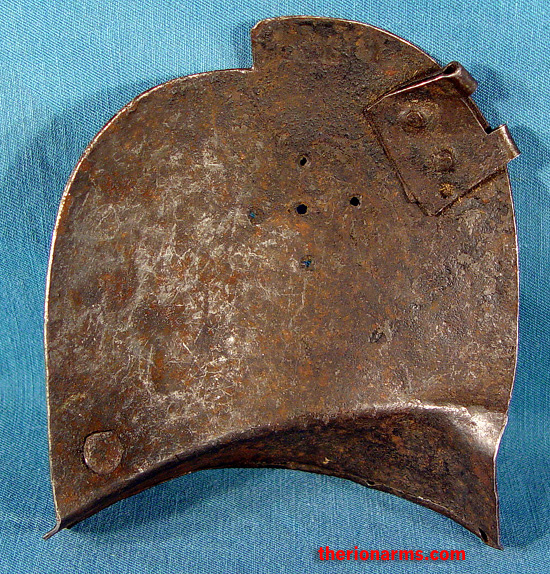 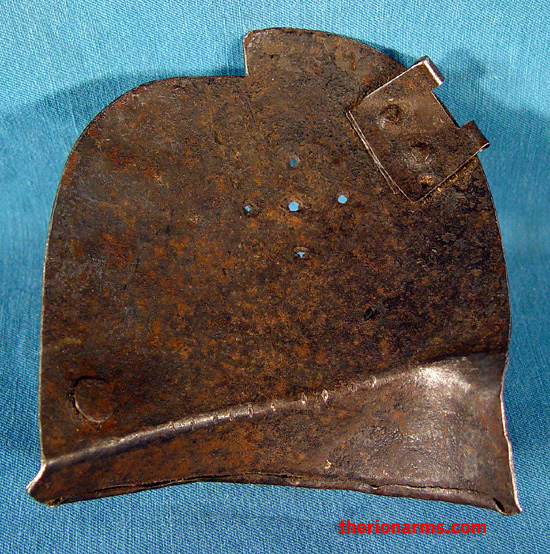 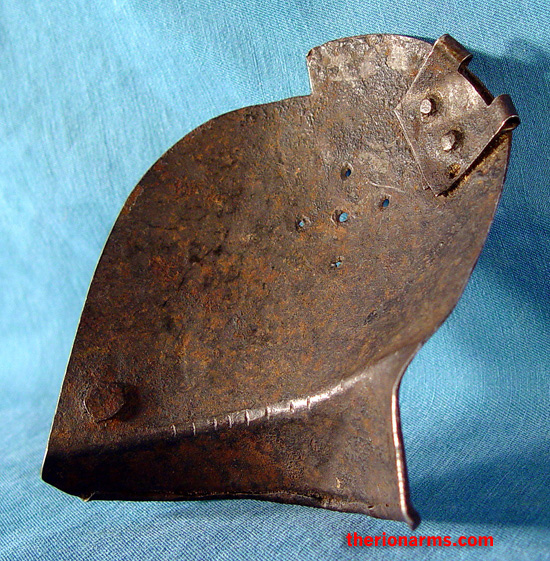 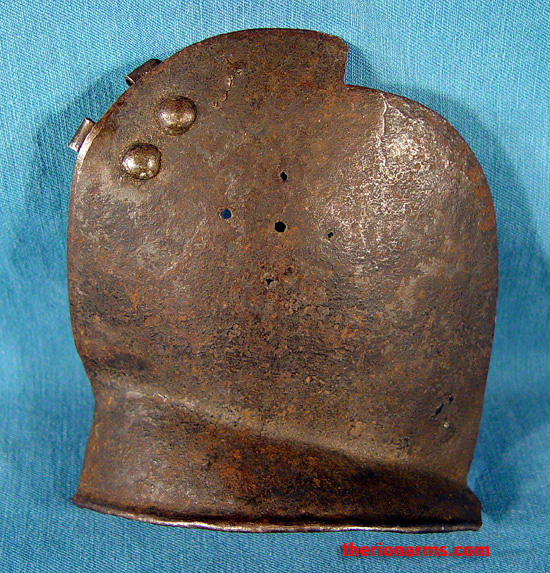 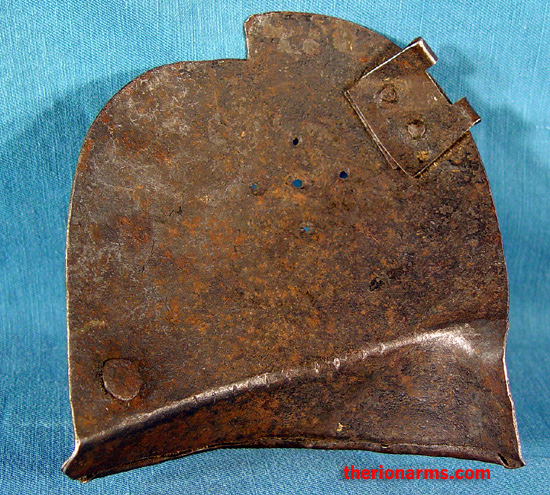 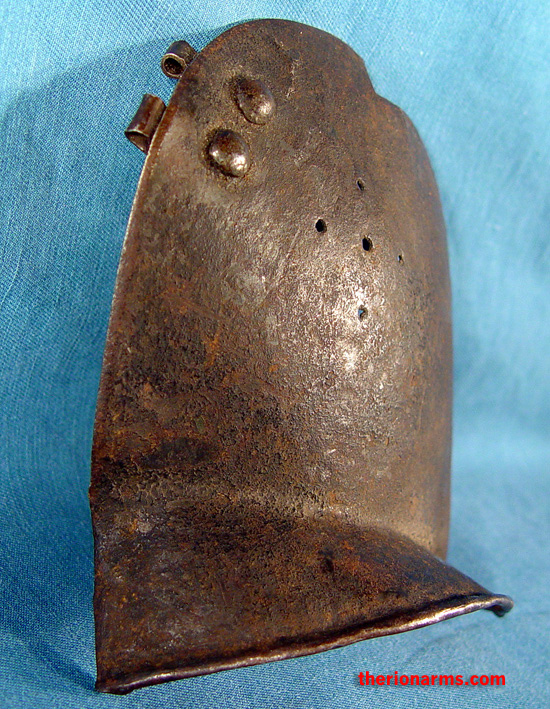 A right-side cheek plate from a late 16th century or early 17th century burgonet. 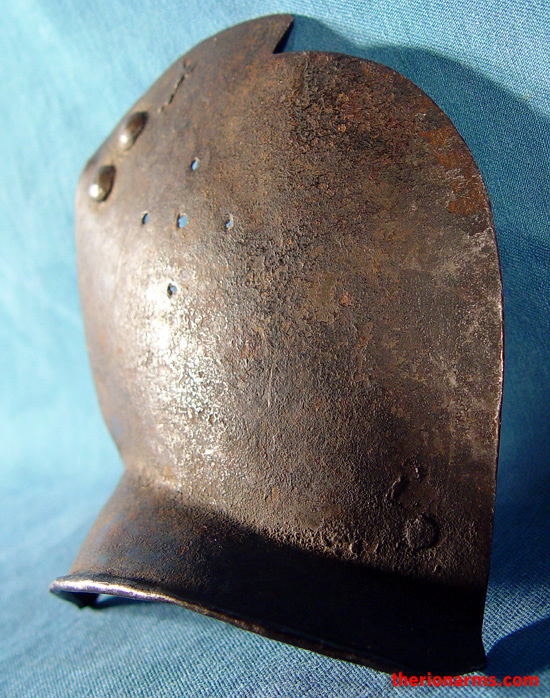 Probably English, circa 1570, but may be from as late as 1620. 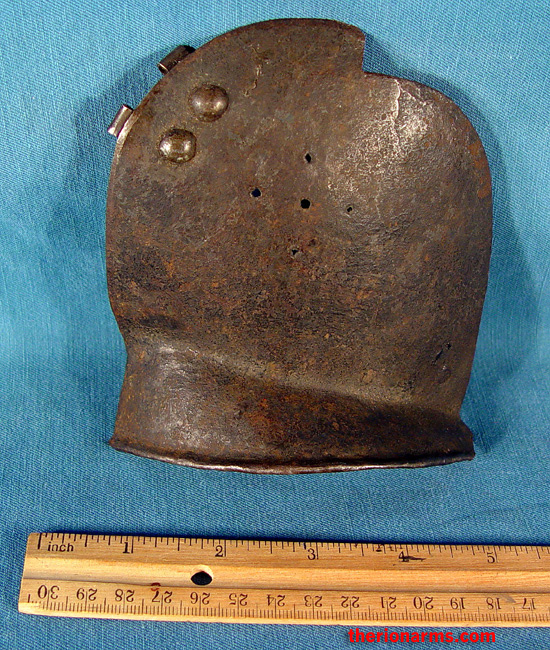 Possibly a colonial American find - although whole burgonets seldom survive and are rare in early American collections, cheek piece sections are found more often, particularly in Virgina.